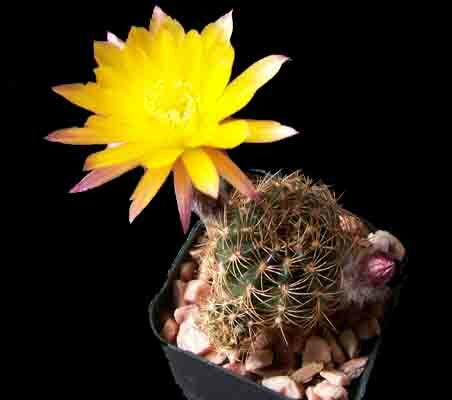 The top photo is of a seed grown plant (Lobivia 'Easter Bonnet' x L. 'Easter Bonnet') which is a cross of two Easter bonnets that Lynn-Marie did. (We usually propagate by offsets rather than seed since seed from hybrids isn't always consistent or stable.) The result is as you see it. Easter Bonnet is always a bit variable in color and the two toned color may also vary. The spines are finer on the hybrid. Interesting. We received this plant some years ago with no name but it's clearly a Greenovia. As to which Greenovia we're not quite sure. It hasn't been an area of expertise of extensive experience. If any of you can give me a species name I'd be delighted. You know it's spring when the Rebutias are all putting out their blooms. This is Rebutia margarethae, which is a synonym of R. padcayensis by most accounting. From Argentina and Bolivia, it freely produces offsets and abundant flowers. An outstanding pot plant. Today I'm sharing one of Lynn-Marie's latest works. 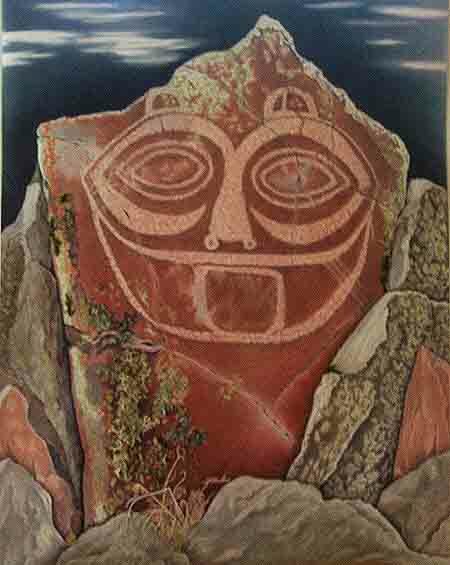 It's a portrayal of the petroglyph from the Columbia River Gorge known as "She Who Watches" or "Tsagaglalal", a wonderful image from ancient times. The portrayal loses a little in the digital translation, but I think she's caught the power of the image. You can read about the legend here. The Columbia River Gorge is located to the East of Portland, an absolutely outstanding natural and recreational area. The picture below is looking East, past the Vista House; the petroglyphs are located further to the East. Washington State is on the left; Oregon on the right. This is a cutting in a 3 inch pot. Yes, these plants get pretty big and unwieldy, but you don't have to wait that long to get flowers! And since we don't grow Easter Lilies, this will have to do. To all of you who celebrate Easter, Happy Easter! 復活節快樂, Veselé Velikonoce, 행복한 부활절이 되시길, イースターおめでとう, felices Pascuas, paskalya bayramınız kutlu olsun, สุขสันต์วันอีสเตอร์, maligayang pasko ng pagkabuhay, З Великодніми святами, Καλό Πάσχα! This is a plant which is commonly available; it's not exactly rare! Mislabeled, yes; rare, not! But common or not, it's a great little plant. At least we've always liked it. 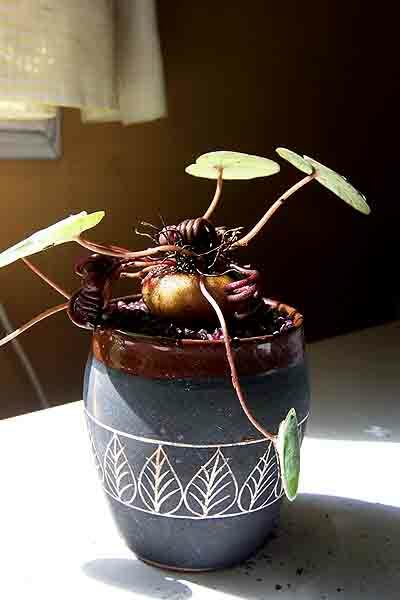 It's easy to grow and makes a nice little addition to succulent bonsai dishes. Give it enough light or it will not look its best and if it begins to droop over...guess what? Give it some water. Though dormant in the summer, it likes to get some water year around. This is another variety of Haworthia magnifica, variety acuminata. This particular plant is grown from seed originally from Rooinek Pass, the type locality. One of the main differences which characterizes this variety is the longer leaf tips. Talk about fat leaves. And the fantastic color that goes with them. Also known as "Lavender Pebbles" or the "Jewel-Leaf Plant", it is from the Sierra Madre Occidental mountains of west-central Mexico and is fairly rare and well worth growing. 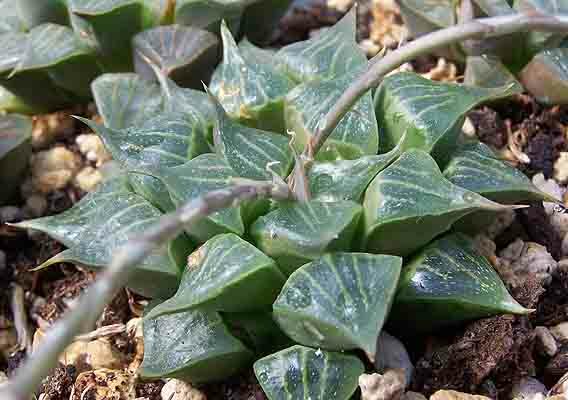 It can be used as a trailing plant or as a hanging basket (it's native to cliffs). The flowers are typical Graptopetalum flowers, quite intriguing in their own right. 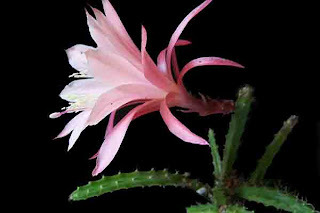 I didn't have a good photo of the flower so I'll include this one from the internet. 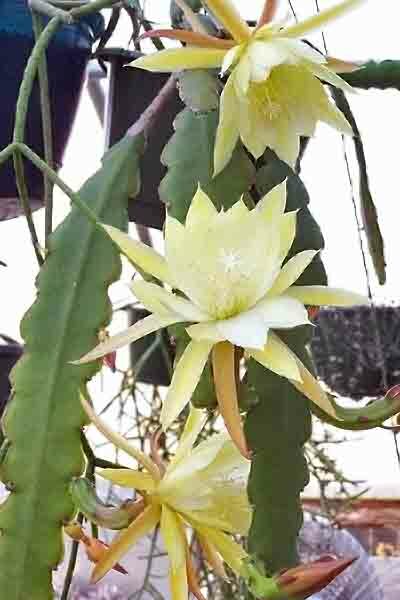 I posted Sinningia leuchotricha earlier. This is S. cardinalis with flowers which are more red and leaves which are less white/fuzzy. This one also has a really nice large tuber. This is one spiny hanging basket plant, but the flowers make up for that and then some. Every spring the flowers come on like gangbusters, putting on a wonderful show. Fred is one strange plant...sort of a cross between the "blob" of old black & white movie fame and the "Thing from Outer Space", another old 50's movie. 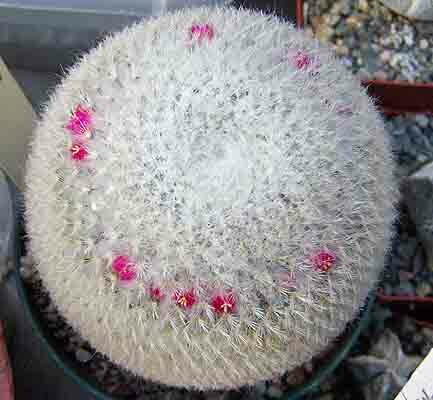 A monstrouse form of Mammillaria bocasana, Fred does all sorts of things. You can't be sure what the new growth is going to be like. This one's decided to throw off a yellow "sport". For many years no one was quite sure what it was, not until it reverted to it's normal parental form that is. But we all really know it's whatever your imagination wants it to be. 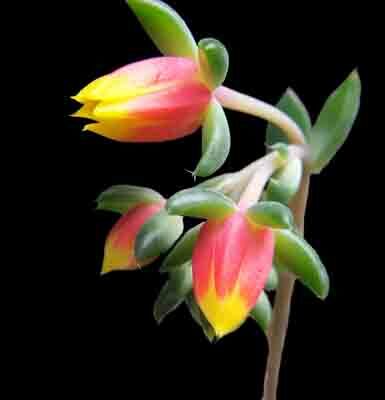 I think Echeveria setosa flowers are simply wonderful. These are on the var. 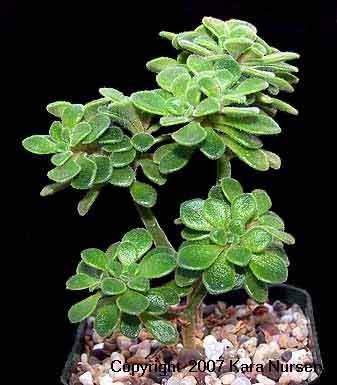 oteroi, sometimes called the "naked" setosa because it has little or no "hairs" on the leaves. And right now it's like a forest of flowers out there. 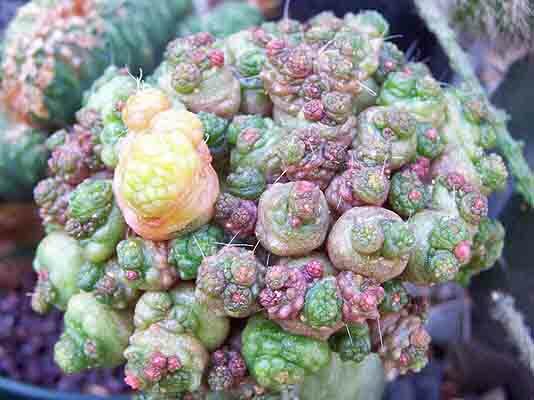 These are seed grown plants, seed from near Albertinia, South Africa. We will be offering one of these on E-Bay in the next few days. 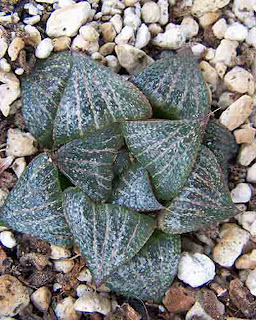 We haven't offered these before and it's only with these rarely offered plants that we put them up on E-Bay. Most of you are aware that I'm a retired clergyman and I sometimes fill in for another pastor. Today was one of those days. One of the things we try to remind people to do is to turn off their cell phones during the worship service. Imagine my embarrassment when mine started ringing while I was serving the Eucharist (Communion). Not only once, but twice. I guess the next passage I will need to preach on is "Physician, heal thyself." Mammillaria albilanata is quite easy to grow and flowers dependably every spring. We've had this one for quite a while and it's doing what it does best. It's that time of year again and the Epicacti are doing their thing. 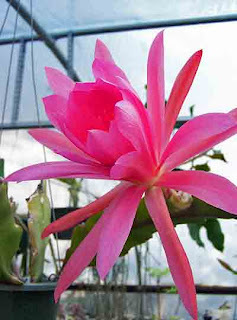 The first is Padre, a dependable large flowering orchid cactus. The next one is unnamed. 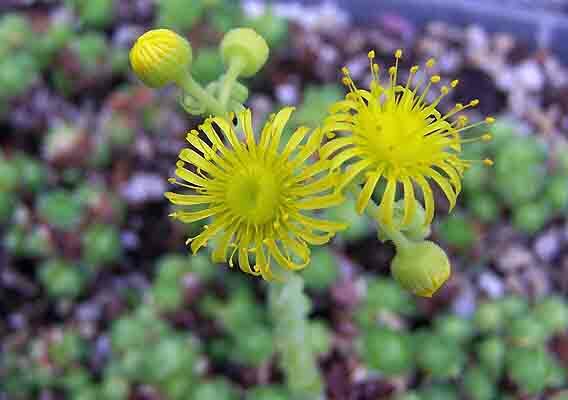 We simply know it as "Yellow Flower", because that's the name the grower over at the Oregon coast (nursery now closed) placed on the label. As you can tell from the photo, it's floriferous, producing many medium to large sized flowers each year. 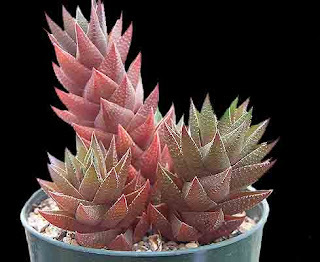 OK, so it's not something we would usually include as a succulent, or even a caudiciform plant. But the corm is succulent and it likes it dry during the Summer. So, we figured, why not? So we potted one up in a nice pot and - wowza! 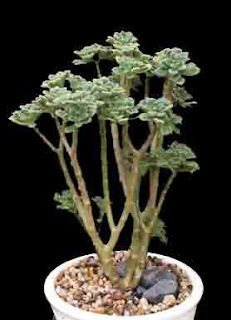 - a rather interesting "succulent" "bonsai". 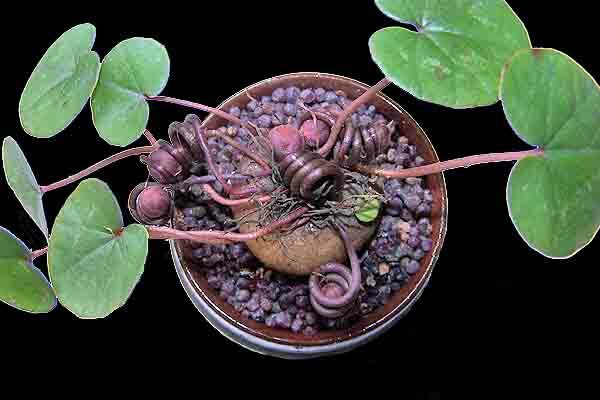 Cyclamen coum is easy to grow and is hardy...and best of all provides winter flower cover. Our little creature here wants to know..."What's this crassula thing growing up behind me?" 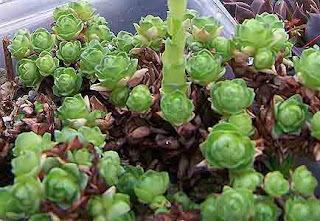 These miniature Gasterias have been with us for a good many years. 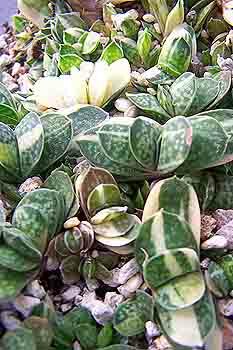 We've never had a name for them other than "miniature variegated Gasteria - Japanese hybrid". That's the name that was on them when we received them from one of the now long-since gone nurseries of the '60s. 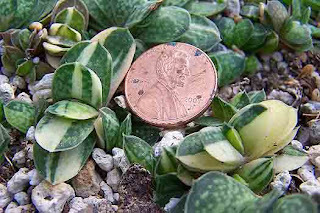 But they're beautiful little plants, and they do stay small! I posted a photo of these just a while back as they began to bud up. Now they're flowering like mad. 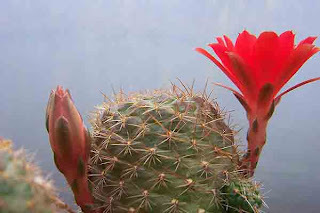 A "Thank you" to the Rebutias and blessings on their flowering little heads! 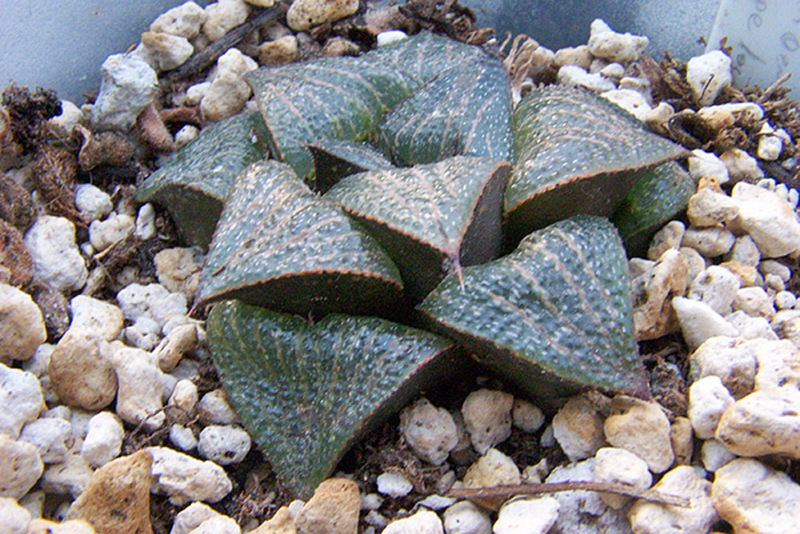 I took this picture yesterday of one of our plants of Haworthia resendeana. Normally it's a darker green but this one was grown hard, with more sun, less water and cooler winter temperatures than it generally prefers. But I like the coloration it's gotten. Of course, H. resendeana isn't an accepted species according to Bayer and is probably a hybrid of Haworthia coarctata. But, species or not, it's a wonderful plant.